Larry Pattis has been an under-the-radar fingerstyle guitarist that is now receiving national and international attention for his musicianship and compositional skills. Larry recently won first-place in the 5th Annual International Acoustic Music Awards, in the ?Best Instrumental? category with the piece "Eleven Doors" from his most recent album, "What Tomorrow Brings.". Pattis also played the 2008 Montreal International Jazz Festival, and in prior years has played the Kennedy Center for the Performing Arts in Washington D.C.
Larry recently won first-place in the 5th Annual International Acoustic Music Awards, in the ?Best Instrumental? category with the piece "Eleven Doors" from his most recent album, "What Tomorrow Brings.". Pattis also played the 2008 Montreal International Jazz Festival, and in prior years has played the Kennedy Center for the Performing Arts in Washington D.C.
Larry has three albums of mostly original guitar works?starting with "Random Chance? in 1997. ?Hands of Time? was next, garnering him a number-1 spot on the Acoustic Radio Charts in January 2003. In September 2008 Pattis released his third CD "What Tomorrow Brings.? He is known for his original, lyrical and emotive music, and for his beautiful interpretations of pieces such as Ashokan Farewell and Waltzing Matilda. You can hear Larry's music here at last.fm, on his website (CDs available for purchase), and from time to time on NPR's "Morning Edition." Individual pieces (or full-albums) are available for purchase in the digital realm here, at CD-Baby, on iTunes, and at other digital media resource websites. In listening to his superb recordings, or experiencing the magic of a live concert, Pattis succeeds in merging styles of instrumental guitar music not normally found in the same room together. Both Folk and Classical styles seem to be fully represented within Larry's playing and compositions. While devoted to the emotive side of the instrument, Larry demonstrates considerable technical prowess. His musical vision is a blending of beauty with technique, to bring forth the many voices that the steel string guitar can manifest. Like that of classical guitar masters, Pattis' music is filled with strong melodic content and rich harmonic counterpoint, supported by moving, evocative rhythms. "Fingerstyle Guitar Magazine has said of Larry Pattis' first CD, 'Random Chance' has us standing up and taking notes. Pattis is a gifted writer and acoustic guitarist. The mostly original works range from exquisite ballads that bring to mind Ed Gerhard and El McMeen, to up-tempo compositions that roll from his fingers with hints of early Pierre Bensusan." Pattis allows the experiences of life (both large and small) to influence his writing. His pieces are inspired by his relationships to places and friends, but also to the strong emotions we all have in common. 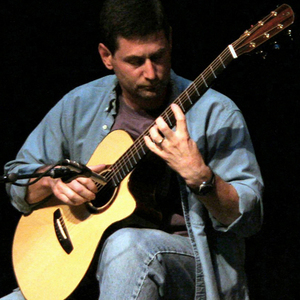 Larry Pattis' second CD "Hands of Time," on the Guitar Odyssey label, fully demonstrates his unique combination of talents as composer, arranger, and master of the steel-string guitar. His heartfelt folk-oriented lyrical approach to the guitar, along with his classically inspired attention to tone, dynamics and subtle nuance, provides for a CD that is filled with track after track of music that demands the listener's attention. The compositions on "Hands of Time" are strong and confident; the guitar playing is rich with beautiful textures. Bill Frost of the Salt Lake City Weekly has said, "? weaving clear-sky contempo-folk instrumentals that speak lyrical volumes without even the slightest need for intruding vocals or extraneous players." "What strikes me most about this disc ("What Tomorrow Brings") is that Pattis's playing is quite possibly the most emotional he's done yet. This works as a blessing and a curse - a blessing because it makes some of the songs on What Tomorrow Brings some of the most joyful he's recorded, a curse because the more melancholic moments, while powerful, make the pieces difficult to listen to, especially if you're coming from a dark period in your own life..."Waltzing Matilda" is turned from a happy-go-lucky, almost throw-away piece into one that seems to celebrate the Australian roots while lamenting something lost. This is not to say that What Tomorrow Brings is a sad disc; indeed, for each mournful song, there is one that is just as celebratory. Pattis's style of playing has never been one of showboating - though, Lord knows his skills on the six-string are impeccable. Instead, he shows control by letting the music itself, not skill on the guitar, speak for him - and it says volumes. Listen to "The Spanish Dream," and try not to be taken into a world of suspense and romance, especially in the portions that break into a light waltz. What Tomorrow Brings is easily Pattis's most challenging disc in terms of the gravity of some of the songs' subjects, and I admit it took me several listens to really appreciate just what he had to offer within these 14 tracks - but I can vouch that it's well worth the time and effort to do so."